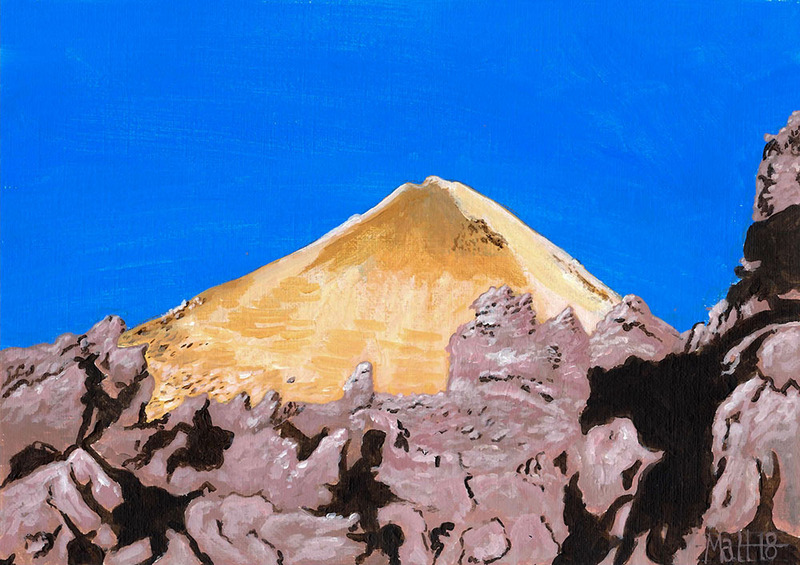 This is the first of a series of studies from Teide National Park, Tenerife. The island is highly volcanic and a terrestrial analogue for Mars and other solar system bodies. Mount Teide itself is a stratocone that is 3,718-metres high. This is a study of the eastern face, several hundred metres from the summit in the lava field. Acrylics on paper, 21 x 29 centimetres.